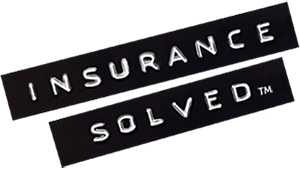 Contact us any way you like to get help with your policy, lodge a claim, and buy more insurance. Click or tap the ‘Change Contact Details’/’Your Details’ button on your account dashboard. Click or tap the ‘View/Change Payment Details’ or ’Payment Details’ button on your account dashboard. Please call us to change your payment preferences for your life (1800 700 349) or health (1300 665 623) insurance policies. View the relevant policy on your dashboard. Click on or tap the ‘Modify Policy’/’Edit Policy’ button. Please call us to modify your life (1800 700 349) or health (1300 665 623) insurance policy details. See the locations of our car-damage assessment centres. If there isn’t one near you, don’t worry: You can get your car’s damage assessed by one of our selected repairers. For more information, please call us on 1300 885 996. Can I transfer my no-claim bonus from my current insurer to Budget Direct? Yes – provided you supply us with proof of your current no-claim bonus (or no-claim discount, as we refer to it). For example, you may have a renewal notice from your current insurer that shows your discount. We’ll factor in the discount when we calculate your premium. I’ve had a car accident – what should I do? Make sure you and anyone else involved is safely off the road. Call 000 if there are injuries or hazards. Get the details of the other drivers – name, address, contact number, driver’s licence number, and registration number – and give them yours (it’s a legal requirement; if anyone refuses, call the police). Try to get the names, addresses, and contact numbers of any witnesses. If possible, take photographs at the accident scene. If your vehicle is undriveable, call us on 1300 139 591 to organise a tow or, if you prefer, book your own. How do I book a time to have my vehicle’s damage assessed? You can book a damage assessment when you lodge your claim, either via your online account or by calling us on 1300 139 591. If you’re not sure what your schedule looks like at that point, you can book the assessment later. I’m selling my car – what do I need to do? Click or tap the ‘Change’ button on your dashboard. Answer some questions about your new vehicle. Select the policy options you want to add. View the details of your updated policy, including the new premium. If you’re happy, pay the premium using your credit card. If you don’t intend to replace the car, you can cancel your insurance policy by calling us on 1300 306 560. You can cover your home for floods by taking out optional Flood Cover, which insures your home building and contents for loss or damage caused by flooding rivers, creeks, lakes, dams and other bodies of water. Subject to underwriting, you can add Flood Cover to your home building and/or home contents insurance when you get a quote and buy a policy or – if you’ve already bought one – by calling us on your online account or calling us on 1800 182 310 or logging into your online account and editing your policy. You can list your contents when you get a quote and buy a policy or – if you’re an existing customer – by logging into your online account or call us on 1800 182 310. Am I required to provide proof of loss or damage? Allowing us to assess the damage or loss is usually all that’s required to prove it. If an item has been lost or stolen and can’t be assessed, we may ask you to provide evidence of ownership and value. I’m selling my house – what do I need to do? insure your new house when you and the seller sign the contract of sale but before settlement. Click on the ‘Start a new insurance quote’ button. When the sale of your current home reaches settlement and you want to cancel the insurance on it, please call us on 1800 182 310. Do you offer strata title insurance? We don’t insure strata title buildings, however we do cover their contents. Can I extend my travel insurance cover if I decide to stay overseas longer than originally planned? Yes – you can extend your single-trip policy once, up to a maximum combined duration of 12 months. At least two days before your policy is due to expire, log into your online account and modify the policy or contact us on 1800 444 424 (Monday–Friday, 9am–5pm AEST). Note that an Annual Multi-Trip policy covers you for an unlimited number of trips of up to 30 days each within a 12-month period. If any one of the trips lasts longer than 30 days, you’ll have to purchase an additional travel insurance policy for that trip. Yes – all our international travel insurance policyholders can access our worldwide, 24/7 overseas medical and emergency assistance service. If you require hospitalisation or emergency transportation or need to cut short your trip and return to Australia, you (or someone else on your behalf) must contact us as soon as possible. How much time do I have to make a travel insurance claim? You must lodge your claim with us within 30 days of returning to Australia. What proof do I need when making a claim? The relevant travel insurance claim form will tell you exactly which documents are required to support your claim. If you send us original documents, please make sure you keep copies for your records. When can I start using Budget Direct Roadside Assistance? 48 hours after purchasing your membership. If you require assistance immediately, please call us on 1800 179 417 (a non-refundable service fee of $100 will apply). Does it matter who’s driving the car? We’ll provide roadside assistance for your nominated vehicle, regardless of who’s driving it. How quickly can I expect help to arrive? It will depend on a number of factors, including your location and road conditions. Our goal is to get you back on the road as soon as possible.